Providence Marathon | Run S.M.A.R.T. Erica Silbiger had been dreaming of a BQ for 6 years. The closest she had gotten to her 3:35 qualifying standard was over three years ago when she ran 3:46. Her journey continued but after many marathons and various training plans she got injured and had to take 6-months off. 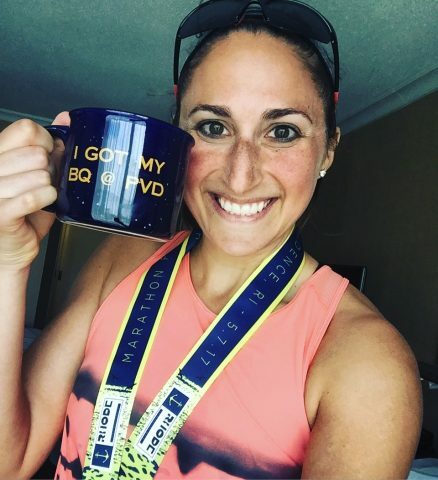 She then bought her first Run SMART plan last summer with the goal of feeling strong and staying healthy throughout her build-up for New York City. Progress! 3:52, no injuries and feeling strong!